Learning how to properly plan an interior renovation is the key to getting the best renovation possible. Before you start the renovation you need to know what you want, what your options are, and what to expect. One of the most important considerations when planning a renovation is time. A lot of clients are unfamiliar with construction and unprepared for just how long it can take. People often underestimate just how long an interior renovation takes to complete. In this piece we discuss some of the time considerations involved in planning your renovation. Great interior design has staying power. Creating a design that lasts requires some forethought. When planning your renovation look at not only your current needs, but your future needs as well. A good rule for renovation planning is to look five years ahead. For example, does your five-year plan include having children? If so, you may want to focus on designing a family home. 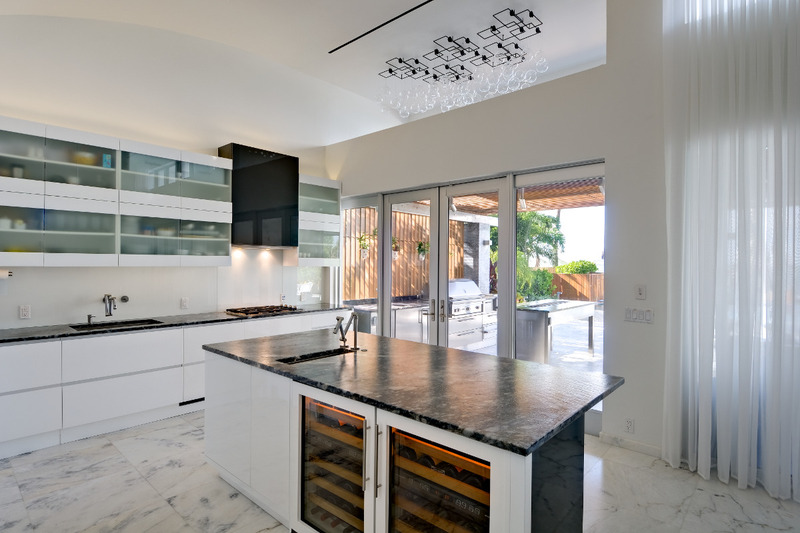 Looking ahead helps to ensure you get lasting satisfaction from your interior renovation. With a well-formed picture of your five year plan, you can get design drawings made with a strong, personalized vision. Once you’ve had the drawings done you can start interviewing contractors and requesting quotes. Working with experienced interior designers makes the contractor selection process easier and gets you better rates. The best interior designers have experience negotiating with contractors. They know how long projects should take, and how much they cost. Additionally, they can better communicate design to the contractor. That means that projects are done right, priced fairly, and are completed on time. Budget is the most obvious concern when considering an interior renovation. We contend that time deserves just as much focus. Budgeting, time and finances are closely tied in interior renovations. Good time management and planning keep renovations on schedule and reduces overhead costs. Project oversight services are popular for this reason. On large projects they can mean big savings because they keep all team members involved, coordinated and on schedule. Depending on the scope of the project and how busy the contractor is, start dates are often set well in advance. Sometimes, we are scheduling a contractor to work more than a year in advance for full-home builds and large-scale renovations. Smaller jobs, however, can often get underway almost immediately. Contractors will fit small jobs into their schedules as filler projects. This works out well for both parties. You get your renovation started sooner, and the contractor is able to fill gaps in their schedule and keep their crews busy. Advance notice should still be given for small renovation projects. A project booked last minute will not always be a priority. Instead it may end up being a filler job for slow days which means the contractor is putting their more “important” jobs first. Sometimes this means completing your project is not done to your schedule; it is done to the other client’s schedule. When reviewing quotes, check the timelines the contractors’ are suggesting. Sometimes, a premium can be paid to have a renovation finished faster, if you really need to have a renovation completed for a certain date. However, with foresight and planning, there is no reason to pay anything extra to have a project completed by the agreed upon date. Availability is not the only concern when setting a renovation start date. Another factor to consider is seasonality. The time of year plays directly into renovation plans. In Canada, winter is a challenging time to run renovation projects. This is especially true for full-home builds or projects that change exterior features. Winter construction will have extra costs, especially for heating. For home renovations that change exterior features, a summer or fall build is ideal and keeps time and costs in check. Spring is a good time to get started on projects that require several months. Some work can be done in early spring, however on full house renovations or new builds there is also a premium for large trucks or heavy weight being moved in the spring while the soil is still thawing. Trucks are not allowed to carry full loads because of the weight and impact on the roads in the months of April and May. This can cost more. If you plan a new home build, contractors like to start by early summer at the latest. This will give them enough time to complete the shell of the home so they can seal it before winter comes around. Condo interior renovations, on the other hand, benefit from the winter months. Contractors are less busy in the winter. Many contractors are looking for condo renovations for the winter months. That can mean quicker starts and lower quotes. How Long Will an Interior Renovation Take? An interior renovation can be disruptive to your daily life. So it is important to establish with your interior designer and contractor how long an interior renovation will take. This will be a key component in deciding whether you want to live in your home during a renovation or move out while the work is being done. Even a small renovation can be very disturbing. We recommend our clients get out of the house during a renovation, at least for the worst part of the work, but understand that sometimes this isn’t an option. If it’s not an option, it’s important to have a plan about being away for at least the demolition of the existing space. Demolition is loud, dirty and disruptive, but doesn’t take very long. Sometimes our clients will plan a trip, go to the cottage or even book a hotel for a few days. Contractors typically work between the hours of 8am and 4pm. So you can schedule your day to be out of the house during working hours and come back when they’re done. This requires a good working relationship with the contractor as they are operating under their own supervision. It allows the contractor to work un-interrupted and they leave when you walk in the door, meaning the house becomes yours for the night. Many of our clients plan their vacation during the renovation and have hired us at Crayon Design to oversee the construction. We act as the first point of contact for any questions the contractor may have. We also ensure that the renovation is completed to spec on time and budget. Even if our clients stay near the home, having us be the ‘go to’ people for any questions or issues at the renovation allows our clients to keep working without having to run home to answer questions from the contractor. It keeps life normal and removes some of the stress. We see the most success with renovations that account for time in their planning. Rushing the design, quoting, or construction phase can lead to regrets down the road. Overall, it is much better to spend the extra time during the planning process to ensure that your designs will work and they fit your pocket book. Proper planning ensures a successful on time and on budget renovation.